Historically, a Peace Movement has always been associated with women. It was essentially thought as a feminist initiative. The method of decision making in such movement was intended to expand leadership rather than to narrow it. Most women groups in the feminist movement worked by consensus, the relationship among themselves has always been intimate and caring, and they often included a humanitarian concern for all people. The feminist peace movement has created a value system based on an ethic of caring, caring for each other and caring for the world as well. Women groups have dealt with issues such as motherhood, violence against women, citizenship rights, and oppression. World peace has been interpreted through women's eyes. Even the ecofeminist vision has peace rooted in nature, and the very essence of life and survival have been said as essentially female attributes. The ecofeminist position is that the Earth is our mother, and she is being ravaged by militarism and male-created toxic substances. Ecofeminists have managed to bring into their groups all kinds of women because of their work in ecology. Women are organizing to save the environment. They have defended a large number of issues from the rain forests of Brazil, to the forests of India and to the toxic waste sites in America. The women peace movement has been at work throughout the nineteenth and twentieth centuries. They have promoted a peaceful solution to all world problems. War has been their greatest challenge as it is a male thing. Nevertheless, they have promoted non-violent settlement to conflicts. War is the greatest violation of human rights that one people can inflict on another. It brings deaths and injuries, starvation, diseases, millions of people losing their homes and livelihoods, and massive destruction of property. Children and teenagers are placed in internment camps, and several are often forced to serve as soldiers. War not only corrupts the morals of soldiers, it leads to a decline in the morality of the whole nation. Political and military leaders are always convinced that their particular war is justified. From their point of view, there are several reasons to go to war: loyalty to allies, religion, a thirst for power, greed, ancient grievances to be settled, or the desire to alleviate suffering among their people. A non-violent settlement to a conflict would always be more advantageous. War is self-defeating because it cannot secure what it sets out to achieve, protection against attack. The hatred for the enemy whipped up by war and the desire for revenge among the losers leads to an accursed vicious circle from which there is no escape. The difference between aggressive and defensive, or just and unjust wars, is ridiculous. They are tags each side adopted to suit its interests. War and militarism destroy civil liberties within a nation. The evil is the war industry. In the Sermon on the Mount, Jesus develops the ethic of non-violence and love of the enemies. Early Christians were probably the first individuals to renounce participation in war unconditionally. "Blessed are the peacemakers: for they shall be called the children of God." And he told Peter, "All they that take the sword shall perish with the sword." Christ has taught us to show mercy, to forgive enemies, to put up patiently with oppression, to return only good for evil and love for hatred and, therefore, war is inconsistent with the Spirit of Jesus Christ. This shows that a Christian should take no part in war, never, in any way. This all means that violence is futile in the long run. To respond to violence with violence is only perpetuating a vicious cycle of violence. b)	War must be declared to redress rights actually violated or for defence against unjust demands backed by the threat of force. It must not be fought simply to satisfy national pride or to further economic or territorial gain. It can be debated whether any war has ever satisfied all these reasonable conditions. There were always Christians who rejected violence. They believed Christ's way was the pursuit of peace. During the Crusades, from the eleventh to fourteenth centuries, Christians fought to recover the Holy Land from Islam, and the Church plunged into extreme violence and cruelty. Even then there were some who had the courage to criticize the theory and practice of their time. They were like the early Christians in denouncing war. Only now they were not rebelling against a heathen empire but against the wordily Church. In their opposition they formed sects, separate from the official Church. Their pacifist convictions found their source in a return to the Bible. These awakened Christians went back to the fundamental ideas of Christianity, to the New Testament, and took the Sermon on the Mount as their ideal. 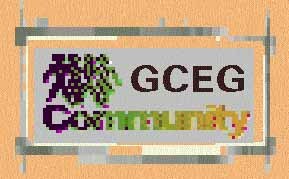 Global Community Earth Government has given back responsibility to every citizen on Earth. Everyone shares responsibility for the present and future well-being of life within the Global Community. We will work together in working out sound solutions to local and global problems. It would be wrong and dishonest to blame it all on the leader of a country. Most problems in the world must find solutions at the local and global community levels (and not assume that the leader alone is responsible and will handle it). There is a wisdom in the ways of very humble people that needs to be utilized. Every humble person deserves to have ideas respected, and encouraged to develop his or her own life for the better. Sound solutions to help manage and sustain Earth will very likely be found this way. Everyone can help assess the needs of the planet and propose sound solutions for its proper management, present and future. Everyone can think of better ideas to sustain all life on Earth and realize these ideas by conducting positive and constructive actions. When there is a need to find a solution to a problem or a concern, a sound solution would be to choose a measure or conduct an action, if possible, which causes reversible damage as opposed to a measure or an action causing an irreversible loss; that is the grassroots process. The Global Community can help people realized their actions by coordinating efforts efficiently together. The worst environmental degradation happens in wars. Farm products in fields and livestock are abandoned, there is no more control on toxic wastes, and water, air, and land are polluted. People are displaced and feel no longer responsible for the quality of life in their communities. Historically, the industrialized nations have caused the most damage to the environment, with their careless technology and policies. Emissions from factories and vehicles have caused ozone depletion and acid rain. Leaders of the wealthier nations must be willing to accept responsibility for past mistakes and to help pay the financial burden for environmental protection of the developing nations. This is the most damaging conflict of interests between the rich industrialized countries and those that are poor and struggling just for existence. The Global Community must help wealthy and poorer nations reach a better understanding of each other's needs. All aspects are interrelated: peace, human rights and the environment. The poor is more concerned with ending starvation, finding a proper shelter and employment, and helping their children to survive. Environmental issues become meaningless to the poor. In reality, all concerns are interrelated. As soon as the environment is destroyed beyond repair, human suffering is next. Ecology has no boundaries. All nations suffer the effects of air pollution, global warming, loss of biodiversity, soil erosion, acid rain, ozone depletion, silting of streams, and countless of other environmental problems. This was the reason for proposing to the Global Community the Scale of Human and Earth Rights.